Toms River recently introduced an ordinance that would require sellers to obtain a “continuing certificate of occupancy” (CCO) prior to selling the home. In addition to the present requirement that sellers comply with fire codes, the new ordinance would require a physical inspection and would include searches to ensure that the property was in compliance with applicable codes. The seller would have to apply for the CCO at least 21 days prior to the anticipated closing date, and the town would then have a week to do the inspection and an additional week to provide the report and/or grant the CCO. The cost would be $100. Of course, Toms River would require the seller to fix any violations prior to selling the property. Yesterday, however, the city council tabled the ordinance over objections from some residents (although many residents had already voiced support for the ordinance). According to the Asbury Park Press, the council is already planning some changes to make it more palatable. For example, there are still many homes in the area that are damaged or abandoned and in disrepair. A requirement that the owner (many times, the bank) make the repairs prior to sale often means that the homes sit, as the owner cannot afford to make the repairs (or in the bank’s case, will not make the repairs on each home in its foreclosure inventory). To remedy that problem, the council will likely propose that uninhabitable homes, at least, will be exempt from the CCO to complete the transaction. However, like many towns, Toms River would prevent the new owner from moving in until the repairs are made and the CCO is granted. This allows investors and other buyers to purchase the property and revitalize it, rather than leaving the property to continue deteriorating. As of now, there have been no final changes to the existing Certificate of Occupancy requirements in Toms River. Great News for Due Process! Two individuals brought the challenge: Shannon Nelson and Louis Madden. Both had initially been convicted of crimes and sentenced to prison sentences (Nelson was given 20 to life and Madden was awaiting his prison sentence determination). Both were ordered to pay costs, fee, and restitution in the thousands of dollars. Nelson appealed, the appeals court found trial error and ordered a new trial, and Nelson was acquitted on all charges at the new trial. Madden’s conviction was overturned on appeal, as well, and the State of Colorado opted not to appeal. At the end of the day, neither individual had a criminal conviction to their name (in the cases at issue, at least). Nevertheless, Colorado refused to return the money paid by both individuals (money neither would have paid if they had not been wrongfully convicted). In Nelson’s case, the court dismissed the petition for refund in its entirety. Madden was refunded costs and fees, but not the money paid in restitution. In order to be eligible for and receive a refund, Colorado requires an individual to file an action under the State’s Compensation for Certain Exonerated Persons statute (Exoneration Act, in short). Under the Exoneration Act, an individual who has (1) been convicted, (2) served part of their sentence, and has (3) had their conviction(s) overturned on reasons other than insufficient evidence or legal error can petition the court for a refund of any money (fines, costs, restitution, etc., but not legal fees) paid because of the wrongful conviction. In order to be successful, however, the individual must prove by “clear and convincing evidence,” that he or she was actually innocent. (Clear and convincing evidence is the highest burden in civil cases). Thus, in order to get a refund for money paid to the State solely due to a wrongful conviction, the individual must prove that they were not, in fact guilty (never mind the fact that the State could not reach its burden in proving them guilty in the first place). Rightly, the U.S. Supreme Court found this a clear violation of due process. In order to be afforded due process, one must (1) possess a right or property interest which is (2) deprived by the government (3) without due process of law. Like many cases, the Supreme Court used a balancing test to determine the outcome of this case. Unlike many cases, however, the Court, by a 7-1 vote* found that the Colorado statute met none of the balanced factors. Also of note, the Court expressly found that the, for smaller amounts of money, “the cost of mounting a claim under the Exoneration Act and retaining a lawyer to pursue it would be prohibitive.” While further litigation on this matter would be necessary, it at least opens the door to the argument that many post-deprivation procedures enacted by states to retrieve property and rights lost to the state are too burdensome and violate real due process. *Justice Alito concurred in the opinion, believing that the Court used the wrong test to reach its conclusion. Ultimately, however, he also believed that Colorado’s statute violated due process. Justice Thomas, however, dissented from the ruling, primarily because he wasn’t convinced that the individuals had established a property interest in the money at issue. This is primarily a procedural issue that Thomas believed was not fully explored – in his dissent, he notes the differing opinions between the petitioners and the State. The petitioners argued that without a conviction in place, the money reverted back to them, as it never should have been taken in the first place. The State argued that the funds became “public funds” once they were taken and so the individual no longer had a property right in them. He ultimately turned to Colorado’s statutory law to determine that there was no statutory right to the money and, as the Due Process Clause only protects pre-existing, substantive rights, there was no right to protect. To him, the majority determined, out-of-hand, that the petitioners had a right to the money, without any legal exploration. As Justice Gorsuch was not nominated in time to hear the case, he took no part in the decision. Author Allen Thompson, Esq.Posted on May 3, 2017 Categories Constitutional Law, Due ProcessTags 14th Amendment, Civil Forfeiture, Civil Rights, Constitutional Law, constitutional rights, Due Process, Forfeiture, Property, Property Interest, Restitution, SCOTUS, Supreme CourtLeave a comment on Great News for Due Process! A New York Times editorial by Ulrich Baer, a provost at New York University, argues that the freedom of speech should be reduced to a balancing test between the inherent worth of a particular viewpoint and society’s obligation to ensure all individuals from all groups have an opportunity to be “fully recognized” in the societal debate. Who ultimately decides the value of a particular viewpoint? What does it mean to be “fully recognized” within a national debate; what factors and evidence are used; and who decides? Is it objectively determined or is it subjectively determined by an individual? If subjective, how is it enforced? How is it determined which community an individual belongs to? A transgender (Mr. Baez uses transgender individuals as an example in his article) individual in Boston is a member of a particular neighborhood community, school community, social club and scene, is a Bostonian, and is potentially a member of a political movement (though assuming that an individual identifying in a particular way is a member of a particular political movement is presumptuous). Which community must the member be a fully recognized member of to balance against the ambiguous value of a particular viewpoint? The freedom of speech, contrary to Mr. Baez’s article, is designed to allow as much speech as possible into the public dialogue. Some – even much – of that speech may be coarse. Some may not effectively advance an argument and other views may be eloquently stated. Some may offend, some may enrage; but each individual can choose to accept, reject, ponder, or explore each thought and eventually come to a conclusion. This is not possible when certain viewpoints are arbitrarily closed off because someone might become offended. What Mr. Baez should be more concerned about is what the law actually does protect against; violent reactions to speech. The law does recognize that some speech is designed to incite violence and, as such, that speech is prohibited (under the incitement and “fighting words” doctrines). This is typically fact-based, meaning each case has to show that the particular words were intended in a particular consequence to cause a violent reaction. Violence as a response to speech is not acceptable and the government should take action against those who violently react to speech, actively promote violence, and those who violently prevent others from speaking. But the key difference is in the action, not the speech. 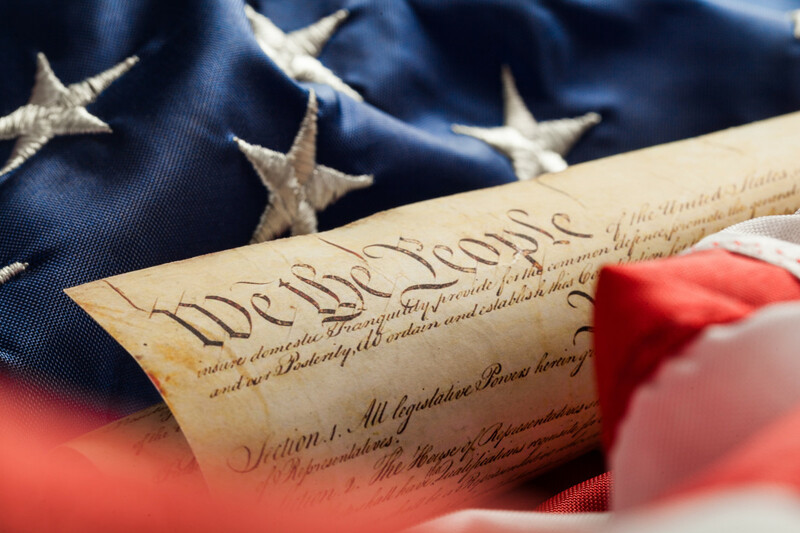 Thompson Law Offices, LLC believes in the free speech of all individuals and seeks to protect individuals against adverse action by the government. A government actor can be the township, county, or state, but it can also be a government employer or a school. If you believe you have been prevented from speaking based on your viewpoint by the government, call Thompson Law Offices at (888) 866-6947 for a free consult and case analysis. Thompson Law Offices is pleased to announce the launch of its new website, offering more information on a wider variety of legal topics and updated practice areas! Many thanks to Izon Web Design for the new site! Author Allen Thompson, Esq.Posted on February 24, 2017 February 24, 2017 Categories UncategorizedLeave a comment on Check Out the New Website! Thompson Law Offices Now Accepting New Constitutional Law Clients! Thompson Law Offices is happy to announce that it is now taking on civil and constitutional rights defense cases! The case law surrounding the Constitution is vast and often complex, having developed and redeveloped over the span of the nation’s 226 years. In an attempt to interpret the Constitution in a manner that can be applied uniformly in various circumstances, the U.S. Supreme Court (and the federal circuit courts of appeal) have developed doctrines and rules, each with various factors and defenses. Navigating these doctrines, rules, and cases, which often seemingly contradict each other, can be time-consuming, confusing, and frustrating. In addition, the courts at all levels tend to defer to the government and its agents, creating defenses and immunities for officials and government entities. In order for a claim to be successful, it must anticipate these defenses and immunities from the start. THOMPSON LAW OFFICES, LLC provides FREE CONSULTS and a FREE CASE ANALYSIS for Constitutional Law cases. If you feel that you have been deprived of a constitutional right, call (888) 866-6947 to schedule a consultation or submit a consultation request online HERE. Author Allen Thompson, Esq.Posted on February 24, 2017 Categories Constitutional LawTags Civil Rights, Constitution, Constitutional Law, New Clients, Practice Area, SCOTUS, U.S. Constitution, US Supreme CourtLeave a comment on Thompson Law Offices Now Accepting New Constitutional Law Clients! The warm weather may be unseasonal, but it reminds us that Spring is just around the corner! Traditionally, Spring starts the peak real estate season. If you’re in the market, or considering buying or selling, here are a few tips from the legal side that should make your home-selection and transaction run a little smoother. 1. Get your attorney involved early. Much of the time, the attorney is not involved in the negotiation of the property. Real estate agents and the buyer and seller typically negotiate the deal, coming to an agreement on price and any additional property included in the sale (such as appliances, light fixtures, etc. ), and then send a signed contract to the attorney. There’s nothing inherently wrong about this, but in a competitive market, or where multiple offers were submitted, having an attorney involved at the outset can reduce the amount of time spent in attorney review – the period after the contract is signed, but before it becomes binding on the buyer and seller, during which an attorney can review the contract and make changes. Typically, an addendum will be drafted amending the contract of sale (which is generally prepared by the real estate agent). If the attorney has been involved throughout, the addendum can best reflect the negotiations and reduce the amount of additional legal negotiations often accompanying the attorney review period. Once attorney review is completed, the contract becomes binding, so the seller can’t continue to offer it for sale and the buyer can’t back out (outside of any contractual contingencies). Purchasers of homes that have had prior owners should remember that they won’t be buying a house in brand-new condition. Normal wear and tear is to be expected and the seller most likely isn’t going to fix everything. As you decide whether to put an offer in, and then when you’re negotiating the price, keep some of the minor repairs you may have noticed in mind. You’re more likely to negotiate these repairs into the price at the outset than to ask for reductions later on in the inspection process. Also remember that the real purpose of the inspection process is to find significant defects in the home, such as water leakage, roof or structural issues, or termite and pest infestations. Minor issues are usually not negotiated as part of the inspection process. Rather, these defects are generally implicitly considered to be part of the reason the price was negotiated the way it was. To save negotiating time during the inspection process, as well as frustration and headaches down the road, just keep in mind that you’re generally buying the house “As-Is,” except for defects that are not obvious. This is especially true when reviewing the contract with your attorney. I’ll usually spend a good half hour to 45-minutes reviewing each provision of the contract with my clients, as much of the language and process is unfamiliar, especially if you’ve never purchased a home or haven’t bought or sold one in a while. There have been significant updates in the law surrounding the purchase of real estate in the last few years as a result of the sub-prime mortgage crisis. Additionally, failure to fully understand provisions of the contract may result in frustration later on in the process, particularly when it comes to the home inspection. Your contract of sale will include a date for closing of title. Often, this date will change as the process moves along. While it’s tempting (and entirely understandable) to want to schedule something as important as the moving company ahead of time, it can actually cause more headaches than it saves. The home-buying process is fluid and dependent on many moving parts. While everyone involved should be attempting to close on the date in the contract, there are a number of places for changes to occur. Sometimes this means that the date will move up a bit and you’ll close sooner than expected. Sometimes, delays happen. Not all delays are avoidable and a delay doesn’t necessarily mean your agent or attorney (or the other agent or attorney) did anything wrong. As a quick example, many home sales are contingent upon the sale of another home – a seller may be depending on the purchase of a new home before moving out – and that contingent sale may get delayed. In that event, neither the buyer or seller may have done anything wrong, but the sale gets delayed. This can be frustrating, but even more so when you’ve already scheduled movers, hotels, utilities, etc. It’s great to be prepared – but I’d advise you to check with your attorney beforehand to make sure the dates are still attainable. Except in some unusual cases (or bank-owned properties), it’s good to remember that this isn’t supposed to be an adversarial process like litigation. Everyone involved should be trying to make the sale happen. Most of the contention in the home-buying process results from one (or both) parties feeling that the other side is being unreasonable or unnecessarily contentious. Sometimes this is true. Much of the time, a closer look at the situation reveals that both sides are just trying to get the best deal possible or look after their own interests. This type of contention generally shows up in price negotiations or inspection negotiations. Your attorney should be giving you clear-eyed advice and letting you know where the middle ground lies. In any case, it’s beneficial to everyone involved to try to look at the situation from the other side, whether you ultimately end up agreeing on the contentious issue or not. Again, your attorney should be able to help you through this and, at the end of the day, is there to protect your interests. Buying (or selling) a home can be incredibly exciting and rewarding. It can also be frustrating and time-consuming. Hopefully, by utilizing these tips and having a good team in place, the process will be more rewarding than frustrating. (Remember, THOMPSON LAW OFFICES, LLC provides FREE CONSULTS for buyers and sellers and offers competitive rates for representation). CALL TODAY at (888) 866-6947 or email at Info@TLawLLC.com. URGENT! Firearms Law for Reenactors: No Pistols at NJ Reenactments! It is currently the position of the New Jersey State Police and the New Jersey State Park Police (part of the NJ Department of Environmental Protection, under which the Division of Parks and Forestry falls) that reenactors may not carry reproduction or original pistols or revolvers at reenactment events. The Park Police is currently advising all reenactors not to bring pistols to events on state property. New Jersey state law provides no distinction between antique and modern pistols. While the law provides an explicit definition of “antique firearm,” this definition only includes rifles and shotguns. The handgun definition, by contrast, covers all firearms designed to be fired one-handed. In New Jersey, in order to carry a handgun, an individual is required to obtain a carry permit which, as is well-known, is nearly impossible to obtain for non-law enforcement individuals. Thus, carrying a sidearm at a reenactment is technically a violation of New Jersey’s firearms law and subject to arrest and prosecution. To my knowledge, there have not been any arrests made due to the carrying of a revolver at a reenactment. However, both NJSP and the State Park Police have advised reenactors to leave all functioning pistols at home. (Note: The statute does not apply to non-firing reproductions. However, since most non-firing reproductions are indistinguishable on their face from firing reproductions, you may still encounter initial problems from law enforcement. Therefore, it is advisable to leave even non-firing revolvers at home). There are some exceptions for the travel and display of firearms, including pistols, for events sponsored by law enforcement, rifle & pistol clubs, and collector events. Reenacments, however, do not fall under these provisions. Therefore, it is highly recommended that all reenactors avoid bringing pistols as part of their impression. This, of course, makes it very difficult to accurately portray officers of any branch and reduces the options for more unique impressions, such as bushwhackers, home guards, militia, armed civilians, etc. This issue will likely seriously affect the ability to host and participate in living history and battle reenactment events. It is my hope that everyone interested in history, the preservation of history through education, and historical interpretation will contact their legislators to address this problem. Author Allen Thompson, Esq.Posted on July 29, 2016 July 29, 2016 Categories Firearms, ReenactingTags Civil War, Firearms, New Jersey Civil War, New Jersey firearm law, NJ Reenactment, pistols, reenacting, revolvers36 Comments on URGENT! Firearms Law for Reenactors: No Pistols at NJ Reenactments! Anniversary of New Jersey’s Adoption of Declaration of Independence! Two Hundred Forty years ago today, the New Jersey Congress (as it was called then) formally adopted the Declaration of Independence, which had been adopted by the Second Continental Congress on July 2, 1776. While it would be another 11 years before the Constitution was drafted, and another three years after that before all the states had ratified it, the Declaration became the document that outlined our founding principles. All people are created equal; the government is answerable to the people; and that rights exist outside the existence of government. Author Allen Thompson, Esq.Posted on July 17, 2016 April 26, 2016 Categories Constitutional Law, Legal HistoryLeave a comment on Anniversary of New Jersey’s Adoption of Declaration of Independence! DID YOU KNOW? New Jersey Can Permanently Seize Your Firearms Without a Conviction? Under New Jersey law, the State can file a forfeiture action against any firearms seized due to a domestic violence incident, even if no charges were filed. Pursuant to N.J.S.A. 2C:25-21, when an officer responding to a domestic violence call concludes there is probable cause that the domestic violence occurred, the office shall arrest the person alleged to have caused the domestic violence. In addition, the officer shall seize any weapons on the premises that the officer believes would cause a danger to the individual, as well as the firearms purchaser’s identification card (FPID) and/or handgun purchasing permits. Once those weapons (and permits) are seized, they are handed over to the county prosecutor’s office. Even if any charges or temporary restraining orders are dismissed, the prosecutor then has 45 days to file a forfeiture motion in which the State seeks to obtain title to the firearms. Under the statute, a hearing must be held within 45 days of the motion (for a statutory maximum of 90 days from the date of seizure). This 45 day period for a hearing, however, is not necessarily strictly followed in all courts, with some hearings being scheduled several months after the motion was filed and served. At the hearing, the court will determine whether the individual is a danger to the public safety or otherwise restricted from owning firearms under the law. Even if you’re not a resident of New Jersey, you may be subject to forfeiture actions based on domestic incidents in New Jersey. If this is the case, there are often procedural and legal complexities that may prevent the prosecutor from pursuing the motion. While the court has the authority to review these issues on its own (without you bringing it to the court’s attention), the hearings are often quick and routine, with numerous hearings scheduled for one court session. Considering the consequences, it is always best to raise these issues. In some cases, a discussion with the prosecutor’s office may even resolve the issue without the need to go to court. If your firearms have been seized by law enforcement due to a domestic violence incident or the State has moved to obtain title (forfeiture action) over your firearms, call Thompson Law Offices, LLC today for a FREE CONSULT at (888) 866-6947. Author Allen Thompson, Esq.Posted on June 23, 2016 Categories Family Law, FirearmsTags Domestic Violence, Firearms, Forfeiture, Seizure, Temporary Restraining Order, TROLeave a comment on DID YOU KNOW? New Jersey Can Permanently Seize Your Firearms Without a Conviction? In a 5-3 decision Monday, the U.S. Supreme Court held that evidence seized after a search incident to arrest could be used to convict an individual, even though the initial stop was unlawful. South Salt Lake City, Utah’s police department received an anonymous tip that drug activity was occurring at a particular residence. Narcotics detective Douglas Fackrell was dispatched to investigate, and observed the residence at various times over the course of a week. It became Officer Fackrell’s opinion that drug deals were occurring at the residence, as he observed frequent visitors staying for only a few minutes at a time. During the stop in question, Fackrell observed Edward Strieff leave the house and walk to a nearby convenience store. Fackrell had not observed Strieff enter the house, however, and so had no idea if Strieff was one of the short-term visitors Fackrell believed was involved in drug deals, or not. Fackrell stopped Strieff in the convenience store parking lot and demanded his identification, which he provided, and asked him a few questions about his visit at the house. Fackrell then ran Strieff’s information, discovered that he had a warrant, and subsequently arrested him, conducting a search of his person at the time of the arrest. The courts in Utah were conflicted on the admissibility of the evidence, since the State conceded that the initial stop of Strieff was unlawful, as there was no reasonable suspicion that Strieff was engaged in criminal activity (in order to establish that, Officer Fackrell would have had to know how long Strieff was in the house; merely being present in a place where past or future criminal activity has or will take place is not reasonable suspicion under the law). To clarify the law, the Supreme Court granted cert to hear the case. The Court analyzed the relevant precedents, concluding that the “attenuation doctrine” was the relevant analysis here. That doctrine holds that where the connection between the unconstitutional conduct and the evidence is too attenuated, the evidence should not be suppressed. Intervening circumstances can contribute to that attenuation. Here, the Court found that the discovery of the warrant requiring Strieff’s arrest constituted an intervening circumstance, and so the search incident to the arrest was a valid search. A search incident to arrest has long been held to be a valid search, so long as the arrest is valid. The Court did not seem particularly concerned that the warrant was only discovered as a direct result of the illegal stop (and therefore quite connected to the illegal stop). Rather, the Court viewed the warrant as correcting the illegality of the stop and, essentially, creating an entirely new basis for a new, lawful stop. In addition to the connection between the unconstitutional stop and the evidence seized, the Court looked to see whether Officer Fackrell’s actions were “purposeful and flagrant.” His actions were “at most negligent,” according to the court. While he did not have reasonable suspicion based on his observations and, as such, could not have demanded Strieff speak with him, the Court excused the admittedly unlawful stop. “While Officer Fackrell’s decision to initiate the stop was mistaken, his conduct thereafter was lawful.” The warrant check was, according to the Court, simply precautionary for “officer safety.” And because Fackrell’s actions were not “purposeful and flagrant,” the evidence found at the stop – illegal though it may have been – should not be suppressed. The Court thus appears to be taking a “no harm, no foul” approach to the Constitutional protections of the 4th Amendment. Because Officer Fackrell acted unlawfully “in good faith” all the way up to the point at which he began acting lawfully, his unlawful mistakes should be ignored. And because a warrant already existed, Strieff essentially should have been arrested anyways. What the Court conveniently dismisses, however, is that 4th Amendment was written and ratified precisely to protect against this type of unreasonable (read: illegal) search and seizure. The 4th Amendment was a direct response to the British Writ of Assistance, or general warrant, which allowed searches of property in order to determine whether cause existed to bring charges. In short, the Writ of Assistance was a legitimized government fishing expedition and the 4th Amendment was a direct prohibition of that. Here, however, the Court has seemingly condoned the same practice. While the Court briefly addressed the fishing expedition argument, it just as briefly dismissed it. And while Officer Fackrell may, indeed, have been sincere in his desire to question Strieff solely on the activities of the house, the end result was that a warrant check was conducted on an individual solely based on an unlawful stop. Had Officer Fackrell not illegally detained Strieff, he would not have conducted the warrant check and thus would not have arrested him and conducted the search. (Also of note: the Court found that the warrant check was conducted for “officer safety,” despite the fact that there is no mention of any resistance or violence on Strieff’s part). In short, Justices Thomas, Kennedy, Alito, Breyer, and Chief Justice Roberts chose to penalize Edward Strieff for his ignorance of judicial interpretation of the 4th Amendment, rather than the detective who actually violated Strieff’s rights. Officer Fackrell admittedly made mistakes and violated Strieff’s 4th Amendment rights. Strieff’s mistake, according to the Court, was in listening to Fackrell’s demands. One wonders how the incident may have played out had Strieff followed the Court’s advice and ignored Fackrell’s demands. At the end of the day, the Court chose to side with a narcotics detective who, though supposedly trained in the basic precepts of the 4th Amendment, made several basic mistakes. Those mistakes led to the unlawful seizure of an American citizen, which ultimately led to the incarceration of that individual. The constitutional rights of the individual are not contingent upon the good faith of the government or its agents. They are inherent to in the individual. Whether the violation of the rights were mistaken or purposeful does not make the right any less violated. While that may matter when determining whether to penalize the violator, it should not matter at all in determining whether the individual’s right have been violated. In this instance, the correct remedy was to suppress the evidence unlawfully seized (whether to find civil liability with Officer Fackrell would be an entirely different case). In failing to suppress the evidence, the Supreme Court has essentially told the citizens of the United States that they have no 4th Amendment protections, so long as the police officer thought he was acting according to the law. At least until the next case . . .
Thompson Law Offices, LLC Homepage Thompson Law Offices, LLC offers legal services throughout New Jersey. Click the link above to view the services Thompson Law Offices can provide. Enter your email address to subscribe to the Thompson Law Blog and receive notifications of new posts by email.